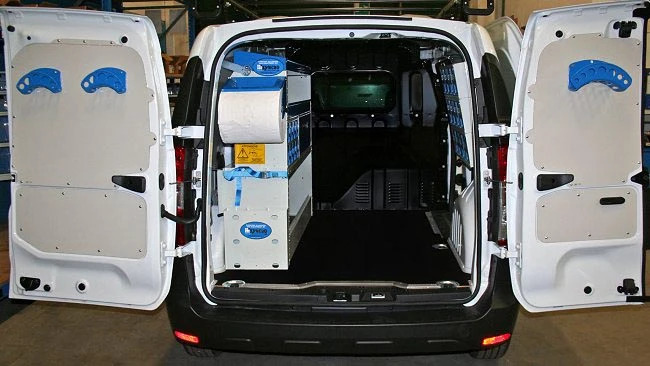 The Dokker, the Dacia minivan, is easily transformed into a perfect small-sized working van for the city. 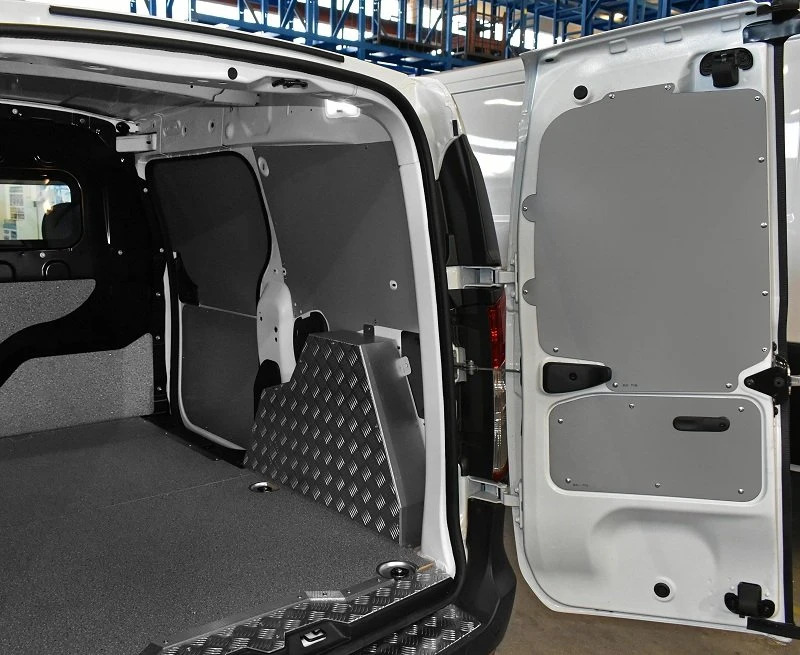 Syncro System is always equipped and ready to upfit commercial vehicles of any make and model, and in this case, has come up with a unique solution to upfit Dacia's small commercial vehicle, the Dokker. 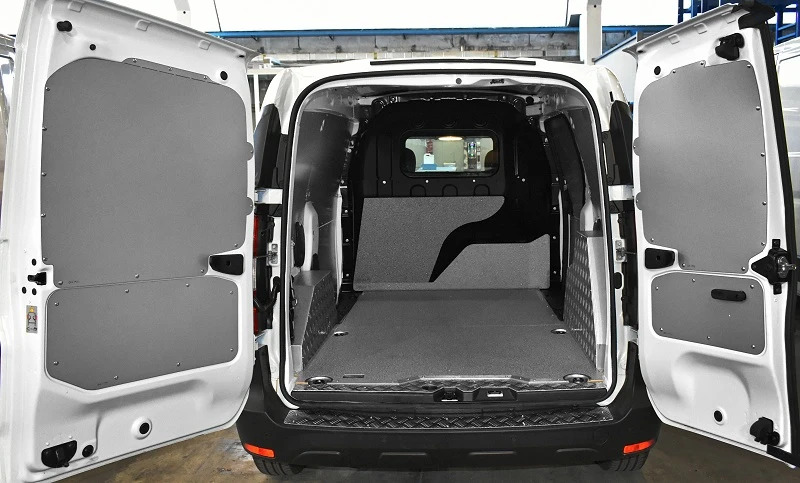 On the floor of the cargo area, Syncro technicians installed a durable, anti-slip, resin-coated plywood floor panel - the best solution to protect the original van floor from daily wear and tear. 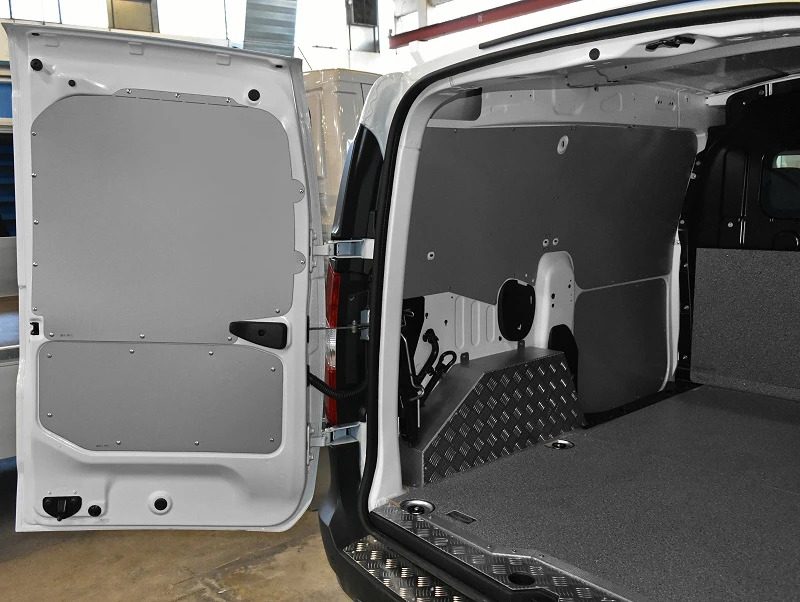 Some of the specific characteristics of the Syncro floor panel are that it has steel edges along the borders where the van doors open, protecting the panel's edges from being damaged, and recessed steel anchorage points that allow the original Dokker floor hooks to be utilized. Doors and walls are protected by wall panels that have been cut to size in the Syncro group's Veneto plants. 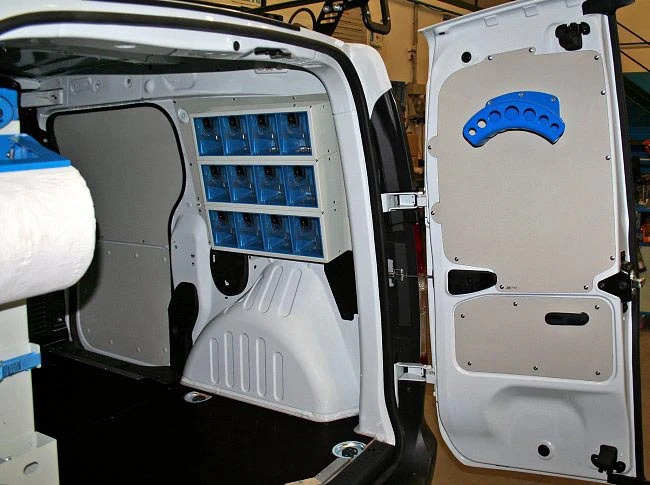 On this van, we chose to concentrate most of the racking modules on the left-hand side of the cargo space in order to leave lots of open space. 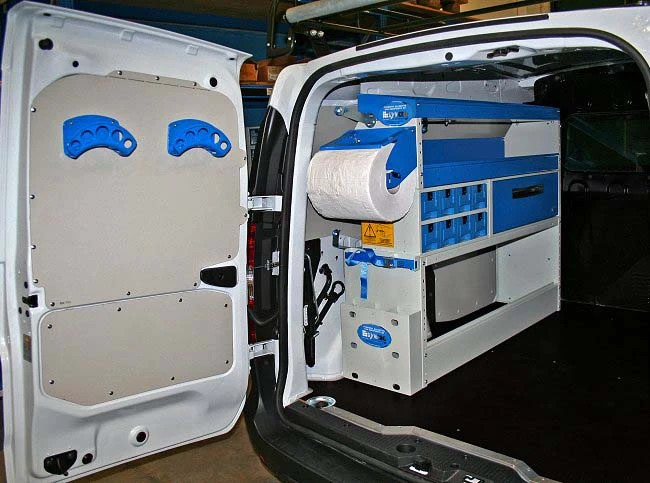 On the right, making perfect use of the space above the wheel arch, we mounted the multibox drawer unit with extractible clear plastic drawers. The racking system on the left consists of a spacious open wheel arch frame that creates the base for an ample drawer unit, a series of plastic drawers, one shelf, and a long tray with raised sides at the top, perfect for pipes, rods, and other long materials. On the side panel of the racking unit facing the back door, we mounted a kit to secure medium-sized tools and materials, and a paper towel roll holder. The protective paneling on the back doors provide an optimum place for mounting the three hanging cable holders. 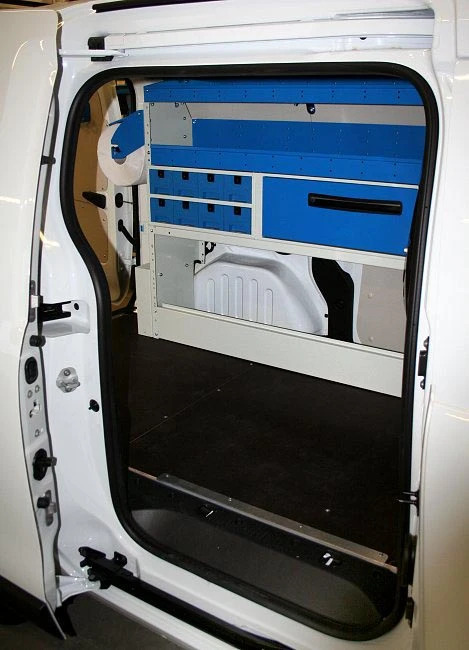 Here are other examples of van racking for Dacia Dokker.